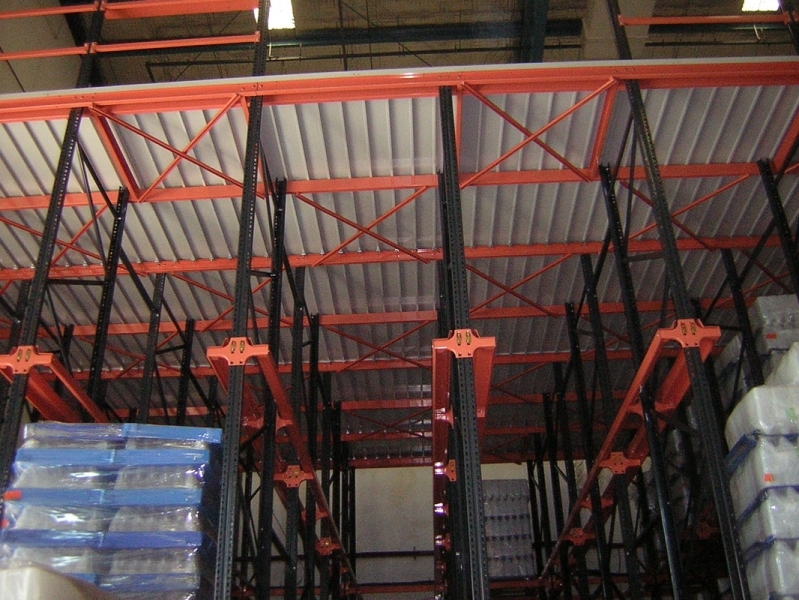 It does not require any designated aisle space. 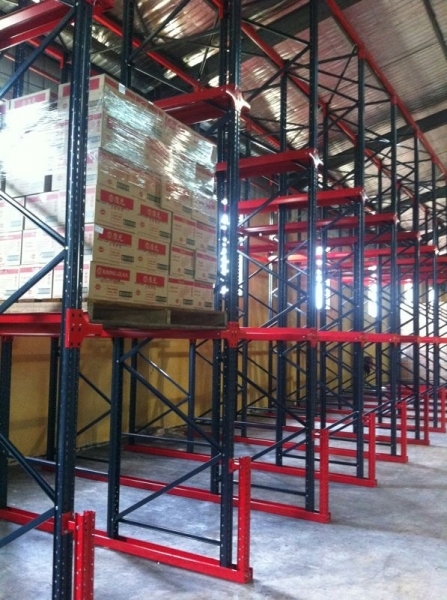 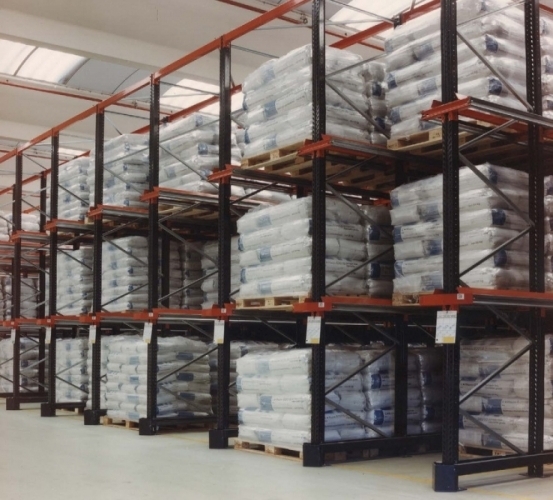 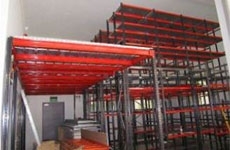 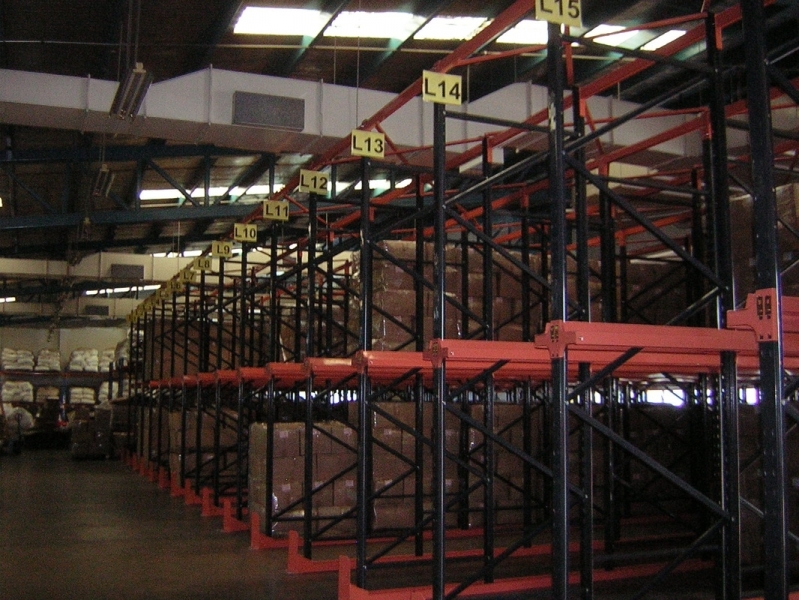 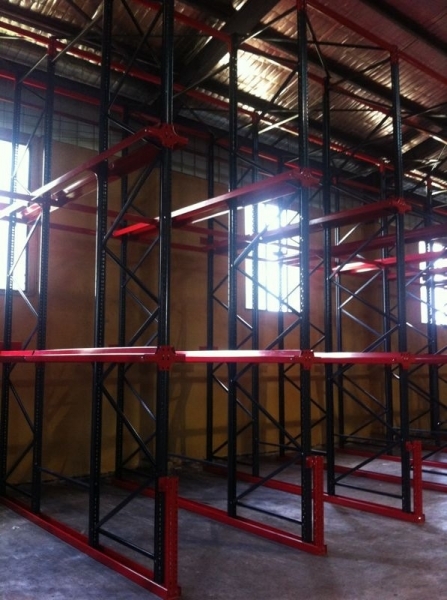 This system is most suitable for the storage of mass-produced items. 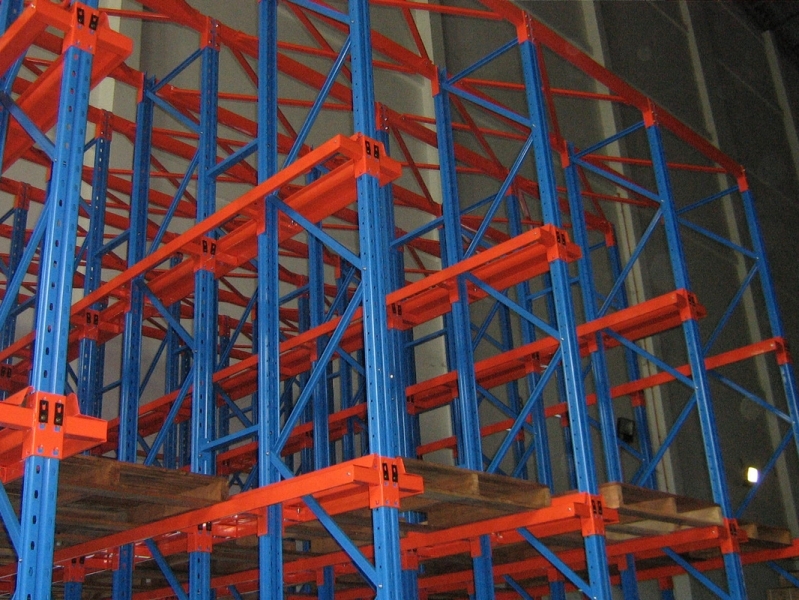 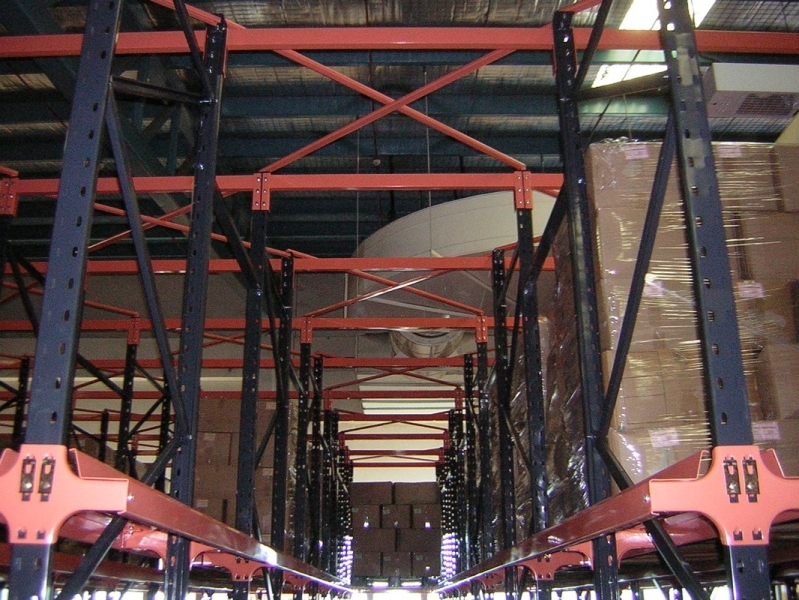 The extra depth of rack allows forklift to enter inside compared with ordinary type of rack. 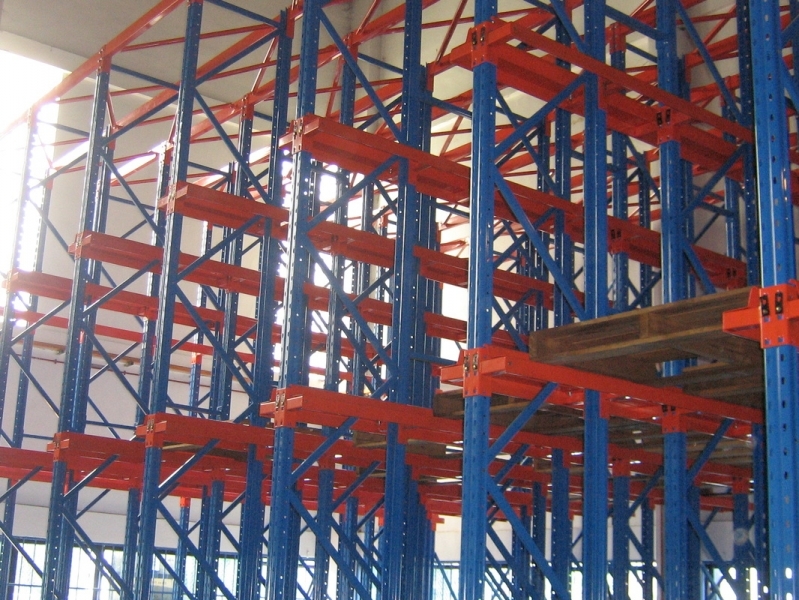 Less aisle space is needed. 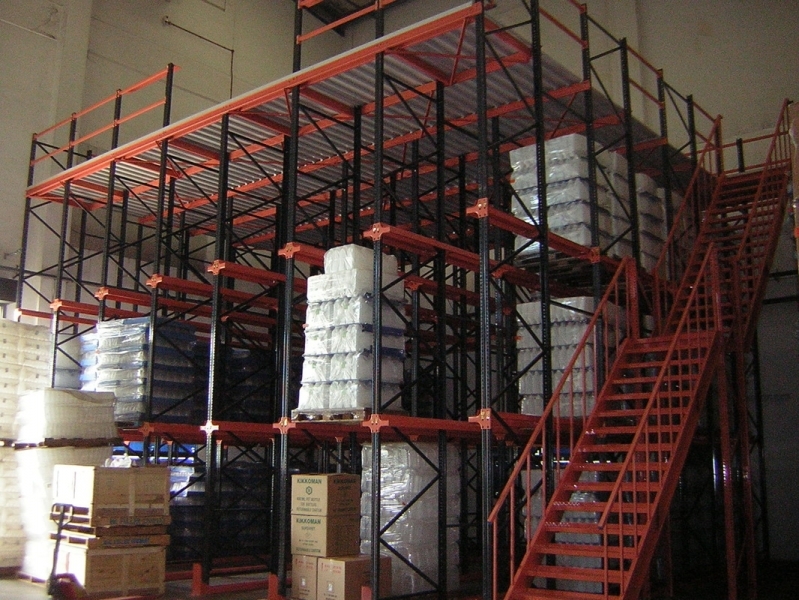 First-in last-out, making this system suitable for the storage of a less varied and mass-produced goods.